Partner Darryl Broderick and trainee solicitor James Leahy at Ronan Daly Jermyn (RDJ) examine a new Court of Appeal ruling restating the law on passing off. Although passing off cases are a rare phenomenon in Irish courts there have been times when businesses have sought the litigation route to stop a person or a business from passing off their goods or services. Passing off is where one business misrepresents or passes off their goods or services as if they were the goods or services of another1. More often than not, these type of cases settle on the steps of the court before proceeding to trial such as in the case of Tribune Newspapers plc v Associated Newspapers2. Perhaps the most notable Irish decision on passing off is the Supreme Court decision in McCambridge Limited v Joseph Brennan Bakeries3 where it was held that Brennan’s were found to be passing off McCambridge’s whole meal bread. Although cases do not always proceed to a full trial, passing off has become an established “litigation strategy”4 in Irish courts. A recent Court of Appeal decision in the case of Galway Free Range Eggs Limited v Kevin O’Brien, Carmel O’Brien and Hillsbrook Eggs Limited5 is a rare but welcome clarification of the law on passing off in this jurisdiction. In order to be successful in a passing off action one must satisfy the passing off test otherwise known as the “triple test”. Both the High Court and Court of Appeal referenced Jacob Fruitfield Limited v United Biscuits (UK) Limited6 in setting out this test. Firstly, a reputation or goodwill must exist in the claimants’ product including, where appropriate, in a brand name or get-up. Secondly, a “misrepresentation” must occur leading to confusion between what is alleged to be the offending product and the claimants’ product. The misrepresentation does not need to involve a deliberate act on the part of the alleged infringer. Finally, the court must ask whether the damage to the claimants’ goodwill or reputation by virtue of any such confusion has been established7. A plaintiff who is alleging that passing off has occurred must prove that each of the three aspects of the test are satisfied before they will be successful in their action. The plaintiff was unsuccessful at both the interlocutory stage and the substantive hearing in the High Court. O’Connor J decided that the plaintiff had failed to establish the defendants used the O’Brien name and the name “Galway” in a manner, which did not accord with honest practices. Furthermore, he was sceptical of the survey evidence adduced by the plaintiff and ruled that the plaintiff had not established a misrepresentation leading to confusion between the egg boxes of the parties. In deciding on the second limb of the test, the Court of Appeal asked the following question, “…is there a real likelihood that the public would get an impression of a connection between the business of the appellant and the business of the respondents?”8 In answering that question, the Court of Appeal noted that the High Court erred in assessing the survey evidence. Importantly, the court held that there was no requirement that the appellant establish that the actions of the respondent had caused confusion, rather the test is whether the use of the brand name by the respondents ‘is likely to confuse people into perceiving a link or association’ with the appellant. 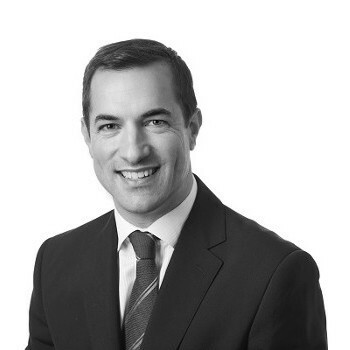 Darryl Broderick is a partner at Ronan Daly Jermyn. You can view his profile here. James Leahy is a trainee solicitor. 1 O’Neills Irish International Sports Co Ltd v O’Neills Footwear Dryer Co Ltd, Unreported, High Court (30 April 1997). 2 Tribune Newspapers plc v Associated Newspapers, Unreported, High Court, (25 March 2011). 3 McCambridge Limited v Joseph Brennan Bakeries  IESC 46. 4 Law of Torts, McMahon & Binchy, (Bloomsbury Professional, 4th Edition, 2013). 5 Galway Free Range Eggs Limited v Kevin O’Brien, Carmel O’Brien and Hillsbrook Eggs Limited  IECA 8. 6 Jacob Fruitfield Limited v United Biscuits (UK) Limited  IEHC 368. 7 Ibid at paragraph 2. 8 Galway Free Range Eggs Limited v Kevin O’Brien, Carmel O’Brien and Hillsbrook Eggs Limited  IECA 8 at paragraph 34.